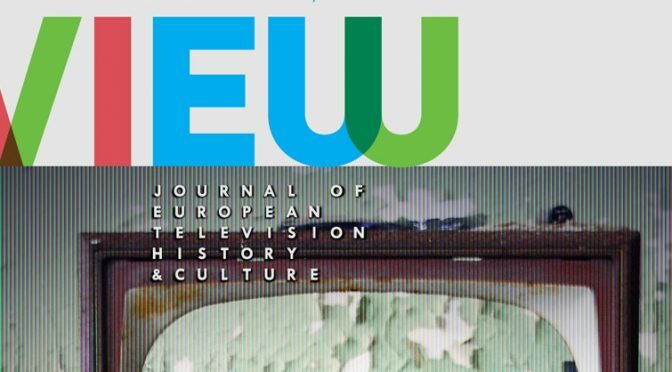 EUscreen publishes the open access journal VIEW, which explores Europe’s television history and culture. We’re proud to announce the publication of our summer issue, which is now available in its entirety at http://viewjournal.eu/. This seventh issue was co-edited by Andreas Fickers, Professor for Contemporary and Digital History at the University of Luxembourg, and Anne-Katrin Weber, lecturer at the University of Lausanne. The issue, titled Archaeologies of Tele-Visions and -Realities, presents a number of archaeological inquiries into the multiple pasts of tele-visions. It aims to assess the many lives of television and highlights – from both diachronic and synchronic perspectives – what has shaped television as a technical infrastructure, political and social institution, cultural phenomenon and business model. All articles can be read on screen, where source materials can be found embedded in the article text, or saved as a PDF for reading offline.